The study of the Late Roman/Early Byzantine world has been of great interest to scholars throughout the centuries. However, this fascinating historical epoch has proved obscure to many modern students as well as interested readers among the general public. To study this period in detail in English, the reader is often forced to consult a few well-known works, such as Gibbon's The Fall of the Roman Empire. Unfortunately, the works of many of Gibbon's predecessors, contemporaries and successors, as well as the primary sources used by them, are not as easy to lay hands on absent a first-class library. This can be a cause of some frustration for a student or researcher wanting to trace references back to their original sources, or seeking a confirmation or counterpoint for claims made in modern works. The goal of the Christian Roman Empire (CRE) series is to make these hard-to-find and out-of-print resources more readily available. With a wide scope, covering the years from AD 50 to AD 700, the series will reprint English language translations of major and minor historical works from late antiquity. It will focus on works that deal directly with the military, civic, ecclesiastical, and regnal vicissitudes of the Empire, but will also publish those that shed light on the various barbarian nations that surrounded the Roman state and which subsequently became its allies, invaders, and conquerors. Many of the books in the CRE series will be digital scans directly from editions long out-of-print. Others will be completely re-typeset and include editorial notations and references to more modern works. With attractive four-color covers, the CRE series aims to spark renewed interest in the study of this complex, poorly-understood, and often confusing period of history. Evolution Publishing is now commissioning new translations of ancient sources which fall within the scope of the CRE Series. These translations will be done with an eye to making the work accessible to students and informed general readers. If you are a scholar who is working on a translation of a work which falls within our scope, please feel free to contact the series editor, Anthony P. Schiavo, at tschiavo(at-sign)arxpub.com. Long out of print, this volume chronicles the remarkable career of Belisarius (A.D. 505(?)-A.D. 565), the last great general of Imperial Rome. Rising from obscure beginnings, Belisarius became the right-hand man of the emperor Justinian I in his 6th century bid to reconquer the lost western provinces of the Roman Empire. In an epic sequence of campaigns, Belisarius destroyed the Vandalic kingdom in North Africa and the Ostrogothic kingdom in Italy but ultimately, the exhausted resources of the weakened empire and intrigues of the imperial court in Constantinople resulted in the undoing of the man and much of his work. Lord Mahon’s detailed, well-researched, and referenced biography of Belisarius is the only work in existence which focuses so authoritatively on this fascinating historical figure. This reprint of the 1848 second edition has been re-formatted and typeset and includes editorial annotations which help bring Mahon's work up-to-date, along with a supplemental reading list of ancient and contemporary works in English which were not available in Mahon's day. The Life of Belisarius belongs in the collection of any library with a collection in classics, late Roman/Byzantine studies, or military history. Likewise, it is a useful addition to the bookshelves of Byzantinists and researchers of late antiquity and the early Middle Ages. Though written by a man who admits himself to be "unlearned," the Origin and Deeds of the Goths is a important as the earliest surviving work of a Gothic historian. Jordanes wrote in the mid-6th century and was believed to be a bishop of Gothic ethnicity residing in Constantinople--possibly an associate of Pope Vigilius. His work recounts the history of the Goths from their legendary origins in Scandinavia, to their invasion of Scythia and their mythical connections to the Amazons. While much of Jordanes's early history is fabulous, of much greater value is his chronicling of the movements and activities of the Gothic nations in the 4th through 6th centuries. Jordanes cut-and-pasted his history together based on the works of other more eminent ancient scholars, many of which are now lost. These include the works of Ablabius, the Gothic history of Cassiodorus, descriptions of the Huns by Priscus, and several others. Jordanes wrote from a nakedly pro-Goth viewpoint, spending a great deal more time on the glory years of the 5th century when the Gothic nations were plundering and conquering the western Roman Empire, and considerably less on the subsequent downfall of the Ostrogoths at the hands of Justinian's armies during his own time. Of particular interest are the long passages detailing the ultimately triumphant Romano-Gothic struggle with the armies of Attila the Hun. This new reprint has been digitally scanned from the 1915 edition and amended to include 17 corrections from an errata sheet that was supplied after the original publication. The book includes a thorough introduction and commentary by Charles Mierow. The Liber Pontificalis is an invaluable historical document, cataloging the names and dates of the first 65 Pontiffs of Rome (click here for a list) beginning with St. Peter himself. Though of unknown authorship, its antiquity is well established. Modern scholarship has determined that the Liber was probably first compiled in the 6th century AD and continued piecemeal thereafter. This English edition, originally published in 1916, covers up through the end of the 6th century. As such, it coincides with the rise of Christianity from the catacombs to become the preeminent faith of the Mediterranean world. It includes significant biographies of many noteworthy Popes such as Sylvester, Leo the Great, John I, and Silverius and touches upon the reigns of secular rulers such as Constantine I, Attila, Justinian I, and Theodoric. The Liber is a valuable source of information on the various heresies of the early Church and the councils called to deal with them. The work also provides archaeological clues about the ecclesiastical monuments of Rome, both those which survive to the present day and those which were destroyed. Though many of the earliest biographies are brief, devoid of detail and littered with obvious errors, the biographies of the 4th, 5th and 6th centuries are considerably more fleshed-out and of much greater scholarly value. The translator, Louise Ropes Loomis, provides an informative introduction and includes footnotes mainly derived from the authoritative commentaries of Mommsen and Duchesne, two of the foremost 19th century scholars of the Liber. These notes are helpful in identifying and correcting the problematic sections of the work and otherwise providing context. Furthermore, several manuscript traditions have been reproduced in parallel in this edition so that the reader may compare them side-by-side. 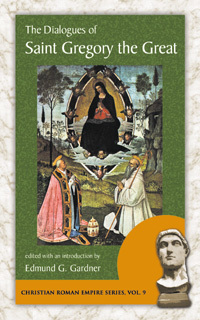 The 2006 edition includes 14 black & white illustrations from the lives of various Popes, as well as a short preface. The Chronicle of John, Bishop of Nikiu is an important source for the history of the turbulent 6th and 7th centuries. Focusing on Egypt where he was a Monophysite bishop, John is one of the few contemporary historians who describes the conquest of this formerly Roman province by the Muslims. Though his Chronicle follows closely that of John Malalas and the anonymous Paschal Chronicle, John includes numerous unique points of local interest. He is among our best sources for the rebellion of the Roman armies in Thrace against the Emperor Maurice in AD 602 and the degenerate reign of the Emperor Phocas. John also provides our best account of the subsequent rebellion of Heraclius against Phocas in AD 609 and covers in detail the battles which took place between the partisans of each in Egypt. He records natural disasters, plagues, and strange portentious events that occured throughout Egypt—such as the appearance of a merman and mermaid in the Nile. He focuses on the turmoil in the churches and comments on the numerous quarrels and frequent violence that erupted between the Monophysites and Chalcedonian factions. As a Monophysite himself, John offers a rarely seen glimpse into the controversy that was still simmering even 250 years after the Council of Chalcedon. The most noteworthy section of the Chronicle is John's description of the conquest of Roman Egypt by the Muslims under the General Amr. John credits the triumphant Muslims for not destroying Christian churches, but he also records the atrocities perpetrated and the onerous tax burden laid upon the conquered Egyptians by their new rulers. Out of print for nearly a century, this volume represents the only English translation of the work, made from an Ethiopic manuscript of 1602. The Ethiopic text was made from an Arabic translation of the original Greek—both the original Greek and Arabic versions were subsequently lost. The translator, R. H. Charles, has provided an introduction to the text, detailing the manuscript history and offering insight into the often confused proper names and spots where his own interpretation of the text is at odds with that of Zotenberg. Despite several lacunae and some obvious corruptions introduced across the translations, this edition of The Chronicle of John, Bishop of Nikiu offers a wealth of insight into a very poorly understood era. The Ecclesiastical History of Evagrius Scholasticus is an intriguing though neglected work of the late 6th century AD. A staunch though broadminded Chalcedonian, Evagrius styles himself as continuator of the great Church historians Eusebius, Socrates, Sozomen, and Theodoret. While never straying from his purpose, Evagrius records a great deal of information from both religious and temporal history—much of it witnessed by him personally—that would have otherwise been lost. The first section of this work deals almost exclusively with ecclesiastical issues, such as the heresy and death of Nestorius, the Council of Ephesus, the second Council of Ephesus (the so-called “Robber Council”), extensive passages on the Council of Chalcedon, the circular and counter-circular of Basiliscus, and the Henoticon of the emperor Zeno. For these important events in Church history, Evagrius is a first-class source—for some of them, he is the sole source in the original Greek. Evagrius also drew upon other contemporary historical tracts that are now either severely truncated or lost all together, including the works of Eustathius, Zachariah Scholasticus, and John of Epiphania. But what makes Evagius most interesting is his inclusion of his own eye-witness testimony. Born in the mid-530s AD in Apamea near Antioch, Evagrius witnessed the devastation of Roman Syria by the Persians and experienced first-hand the first recorded outbreak of Bubonic Plague which swept the Mediterranean world beginning in the 540s. He saw and even conversed with several of the myriad saints and scoundrels who lived in his time and he witnessed the miracles and catastrophes that occurred with astounding regularity. He is the first to record the existence of the fabled Mandylion of Edessa—a miraculous image of Christ that some have attempted to link to the Shroud of Turin. This reprint of Walford’s translation is intended for students and general readers. It has been completely re-typeset and includes a modern bibliography and recommended further reading list, as well as explanatory notes at the end of each chapter by the current editor to help bring the text up to date. Few figures from antiquity are as well known to us as Augustine of Hippo. Thanks to his Confessions, we know a great deal about Augustine’s life prior to his conversion to Christianity. Yet, without this little biography written by his intimate friend Possidius, bishop of Calama, we would know comparatively little about Augustine’s life after his baptism. In straight-forward, unadorned prose, Possidius shows Augustine as a powerful intellect, voluminous writer, and compelling orator, willing and able to defend the Church against all comers be they pagans, Donatists, Arians or Manichaeans. But he also presents an Augustine who humbly endured the everyday trials and difficulties of life as a bishop in Roman Africa. He shows a man who ate sparingly, worked tirelessly, despised gossip, shunned the temptations of the flesh, and exercised prudence and frugality in the financial stewardship of his see. Possidius also supplies one of the only first-hand descriptions of the great tragedy of Augustine’s life—the Vandalic conquest of Roman Africa. He poignantly describes Augustine's final illness as he lay locked inside Hippo Regius with the barbarian host literally at the city gates. More than simply the biography of a great saint, The Life of Saint Augustine provides a tantalizing glimpse into life in late Roman Africa—a prosperous society on the verge of destruction. The Life of Saint Simeon Stylites is an intriguing primary account of the prototypical pillar saint—the first of those indefatigable holy athletes who took their stand atop a high column. Of unknown authorship, this vita was originally written in Syriac and was most likely penned shortly after Simeon’s death in AD 459. Typical of hagiographic literature of the time, Simeon’s biography is littered with tales of mystical events, miraculous cures, piety rewarded, depravity punished, divine and satanic interventions in the lives of men. But the vita also contains a wealth of information about monastic and penitential practices and provides dozens of vignettes chronicling daily Christian life and the many hardships faced by ordinary citizens of the late Roman Empire in the East. Originally published in the Journal of the American Oriental Society in 1915, this edition of Rev. Lent's English translation of Bedjan's Syriac vita has been augmented with a preface, updated bibliography, additional editorial notes, and an index. This volume also includes another article originally published in JAOS entitled, "The Letters of Simeon the Stylite." Written by Charles C. Torrey in 1899, this article offers English translations of several letters purportedly written by Simeon, along with a useful discussion of the controversy over the saint's opinion of the Council of Chalcedon. Constantine the Great is one of those rare historical figures who is nearly as controversial today as he was in his own time. Lauded, both then and now, as a military hero who ended the brutal persecutions of Christians and as the first Roman emperor to himself embrace Christianity, Constantine is just as often vilified as a destructive innovator, a coddler of heretics, and a tyrannical hypocrite with the blood of his own family on his hands. This anonymous translation of this important work was originally published in 1845 by Bagster and Sons. Having witnessed the endless string of disasters that shattered his beloved Italy in the late 6th century AD, Pope Saint Gregory the Great set down in the Dialogues a sequence of tales to help his contemporaries escape from their worldly troubles and contemplate eternal life. Peter, Gregory’s interlocutor, laments that he has never heard of anyone famous in Italy for virtue. To set him straight, Gregory offers an entire litany of stories of Italian saints—from Honoratus of Funda who pinned a great rock to a mountainside to prevent it from crushing an abbey, to the holy virgin Tarsilla who received a vision of Pope Felix immediately before her death. Several of these stories are well known even to this day, while others, like the story of Florentius and his ill-fated bear, are merely strange and picturesque. Perhaps most importantly, Gregory’s Dialogues contain an entire book dedicated to the life of Saint Benedict of Nursia. This portion of the Dialogues represents the most detailed and lengthy biography of Benedict from a near contemporary and is the source of many of the stories told about this important saint. Often viewed as mere folk-history, the Dialogues served a higher function than simple history—they were a spiritual exhortation to Gregory’s worn and weary countrymen. To modern readers, these tales of visions, miracles and extraordinary Christian virtue paint a vivid portrait of daily life amid the wreckage of once-prosperous Roman Italy. In addition, the Dialogues offer a glimpse into the theology of one of the great minds of the Church during the time when Roman authority ebbed forever in the West and ecclesiastical authority emerged to fill the void. Born about the year AD 200, Thascus Caecillius Cyprianus was the scion of an ancient and noble Roman family living in North Africa. A convert to Christianity in mid-life, Cyprian was acclaimed bishop of Carthage during a time of intense Empire-wide persecution by the Roman imperial authorities under the emperor Decius. In the twelve year span between his conversion and his martyrdom in AD 258 during the reign of Valerian, Cyprian wrote some of the most important foundational documents of the ante-Nicene Church. This volume contains the entirety of Saint Cyprian's writing--13 treatises and all of his correspondence, 82 letters in all. 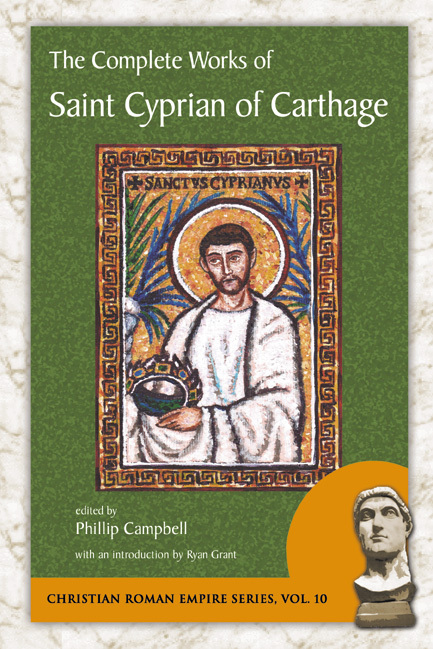 It also includes "The Life and Passion of Saint Cyprian" by his companion, Pontius the Deacon, as well as the minutes of the Seventh Council of Carthage over which Cyprian presided. His writings encompass the major issues of his day including the Roman persecutions, the unity of the Church, dealing with those who renounced the faith under threat from the state (the lapsi), the Novatian heresy and the rebaptism controversy. His correspondents included the most illustrious men of the early Latin Church, including three Popes--Cornelius, Stephen I, and Sixtus II. Read and cited frequently by theologians down through the ages, Saint Cyprian's writings are of surpassing authority and were considered works of genius "brighter than the sun" by Saint Jerome. 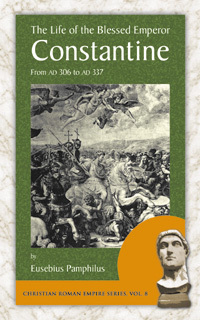 Aside from their obvious ecclesiastical import, the works of Cyprian also offer a detailed and unique glimpse into Roman society at the height of the anti-Christian persecutions and demonstrate the growth and struggles of the early Church during a time of intense external political pressure. Based on the translation originally published as part of The Ante-Nicene Fathers , this new edition includes a new introduction, updated commentary, an updated bibliography, and several new appendices including "The Quotable Cyprian". Attila, king of the Huns, is a name universally known even 1,500 years after his death. His meteoric rise and legendary career of conquest left a trail of destroyed cities across the Roman Empire. At its height, his vast domain commanded more territory than the Romans themselves, and those he threatened with attack sent desperate embassies loaded with rich tributes to purchase a tenuous peace. Yet as quickly he appeared, Attila and his empire vanished with startling rapidity. His two decades of terror, however, had left an indelible mark upon the pages of European history. Priscus was a late Roman historian who had the ill luck to be born during a time when Roman political and military fortunes had reached a nadir. An eye-witness to many of the events he records, Priscus's history is a sequence of intrigues, assassinations, betrayals, military disasters, barbarian incursions, enslaved Romans and sacked cities. Perhaps because of its gloomy subject matter, the History of Priscus was not preserved in its entirety. What remains of the work consists of scattered fragments culled from a variety of later sources. 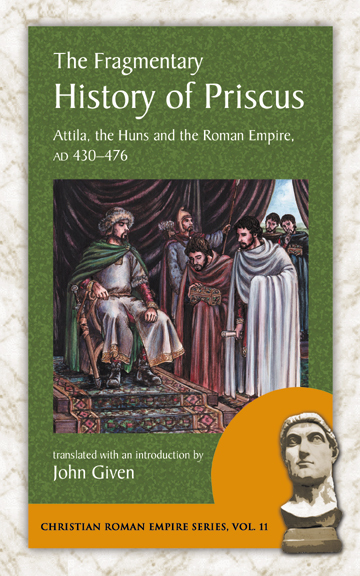 Yet, from these fragments emerge the most detailed and insightful first-hand account of the decline of the Roman Empire, and nearly all of the information about Attila’s life and exploits that has come down to us from antiquity. Translated by classics scholar Professor John Given of East Carolina University, this new translation of the Fragmentary History of Priscus arranges the fragments in chronological order, complete with intervening historical commentary to preserve the narrative flow. It represents the first translation of this important historical source that is easily approachable for both students and general readers. A religious historian sympathetic to orthodoxy, Sozomen's focus is on the various quarrels, councils, schisms and reconciliations which roiled the Church at the time when Christians exited the catacombs and entered directly into the imperial administration. He provides exceptionally detailed descriptions of the heresy of Arius and the resulting religious controversies which followed the Council of Nicaea, including the recurring depositions and reinstatements of Saint Athanasius as bishop of Alexandria. With an obvious personal interest in monasticism, Sozomen provides some of the best contemporary accounts of the lives and deeds of famous monks from across the Roman world. 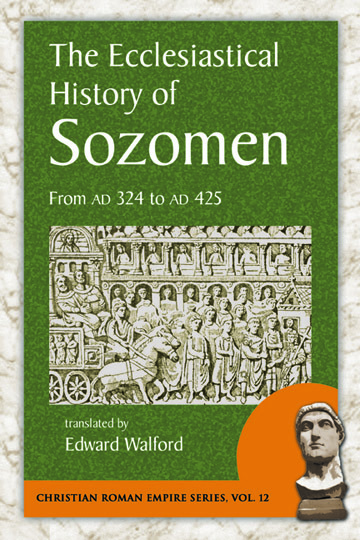 Chronicling occurrences over the course of a century, Sozomen's History is an invaluable source on the fateful reigns of emperors such as Constantine the Great, Constantius II, Julian the Apostate, Valens, Theodosius the Great, and the empress Pulcheria. He provides anecdotes about Popes like Julius I, Liberius, and Innocent I, and great saints such as Anthony of Egypt, Ambrose of Milan, and John Chrysostom. He also includes verbatim reproductions of various ancient letters and edicts which circulated among saints, heretics and emperors as they debated the momentous religious and political questions of the age. Drawn from the elegant Bohn Ecclesiastical Library translation of 1855, this edition of Sozomen’s History has been completely re-typeset for the modern reader. Obvious typographical errors in the original text have been corrected, and punctuation has been modernized to aid with text flow. To help make the text more accessible for students and general readers, this edition also includes numerous updated explanatory notes, a current bibliography, and an index of people, places and key terms. a collection of notable excerpts from the history. Saint Ambrose of Milan is one of the towering figures of the late 4th century AD. A high official in the western Roman government, Ambrose was conscripted against his will by the people of Milan to serve as their bishop. He would go on to become one of the most important fathers of the Western Church: a fierce opponent of heretics, admonisher of emperors, voluminous writer, worker of miracles, and the spiritual father of other great saints. This biography of Ambrose was written by one of the deacons who served under him: Paulinus of Milan. Paulinus was encouraged in this biographical effort by none other than Saint Augustine of Hippo, Ambrose's most famous disciple. 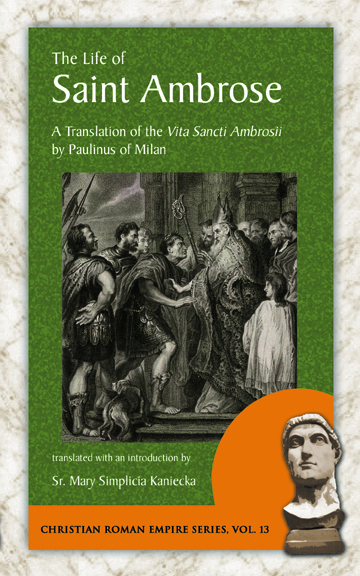 Written in a style similar to other works of hagiography from the same time, such as the Life of Saint Anthony by Saint Athanasius, Paulinus places Ambrose in his historical and spiritual context, drawing an enduring picture of the man and his times that has helped to cement Ambrose as one of the great holy men of the ancient Church. As a primary source, The Life of Saint Ambrose includes numerous first-hand accounts which were witnessed by Paulinus himself or related to him by those close to Ambrose. The important figures whose lives intersected with that of Ambrose included the Roman emperors Gratian, Theodosius the Great, and Valentinian II; the Arian empress Justina; usurpers Eugenius and Arbogast; the magister militum Stilicho, and saints like Marcellina, Simplicianus, Bassianus, Venerius, and many others. Purchase the entire series and save! Order all 13 volumes of the Christian Roman Empire series together for just $254.00. That's a savings of over $60 (about 20%) off the list price! Offer valid for customers with shipping addresses in the USA only. *Prices subject to change without notice. If you pre-order a forthcoming title on-line, and the tentative price increases upon publication, you will be charged the price as listed when your order was received, less the 10% discount. If the price decreases, you will be charged the lesser price, less the 10% discount.